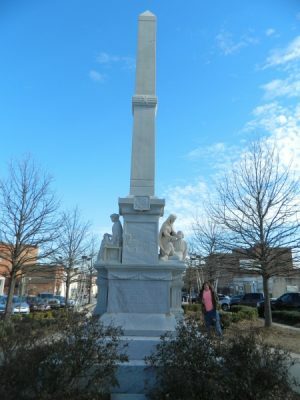 Memorializes Dr. King's visits to Macon. 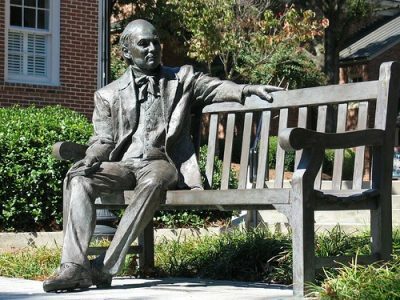 Dedicated in 1997 during Founder's Day when Mercer celebrated its 165th anniversary. 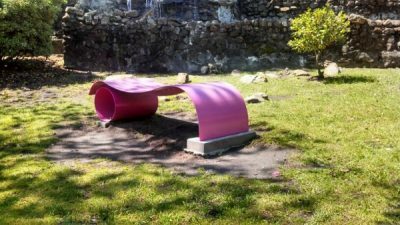 The sculpture shows a lifesize Jesse Mercer sitting with his knee crossed and "The Cluster" resting on his knee. Theme: Animal Stories In the few weeks we’ve had this library open, it has exchanged dozens of awesome books. 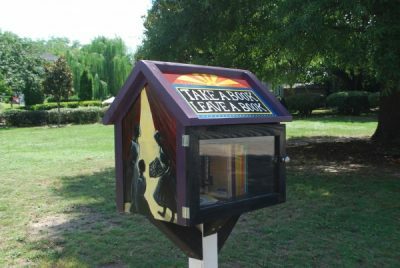 Everything from advice on adopting a new pet to literary classics has been donated here. 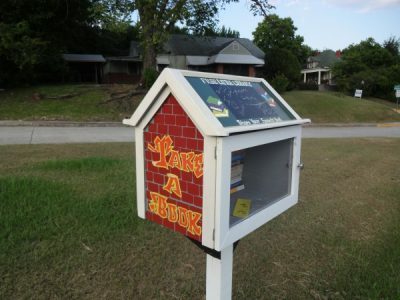 We can’t wait for all our other libraries to be this successful. 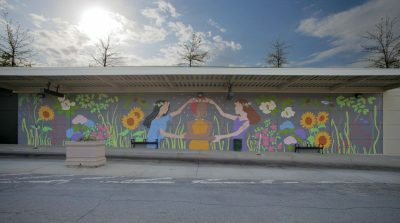 Theme: Romance Across Oglethorpe from the fire station, this corner of the Corridor is often busy. Instead of just rushing past, why not take a minute to stop and grab a juicy romance novel, or share your favorite author on our chalkboard. Theme: British Phone Box This Library was actually built by Alex Mitchell and his dad as part of a Boy Scout project. 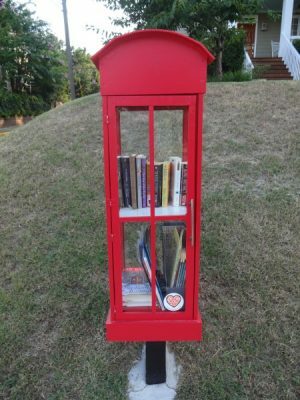 We’re so glad other neighbors are joining in the Little Free Library movement! Come check out the great selection of books Alex has chosen. 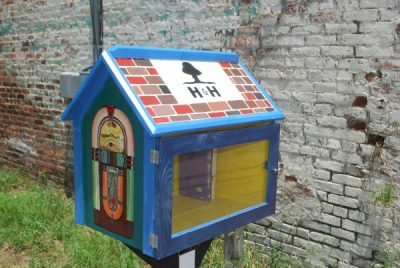 And if you’re interested in starting your own Little Free Library, let us know. We’d love to help! 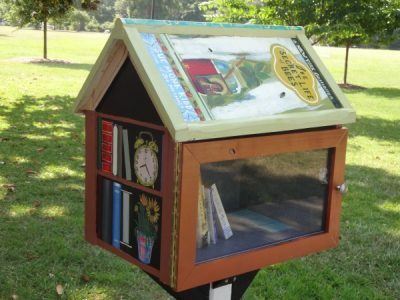 Little library at James Park – Corner of Georgia Avenue and College St.
Theme: Children's Books Tattnall Square Park is one of the oldest public parks in the US, and this library brings to mind our city’s rich history with books from Southern and Macon authors. How many have you read? 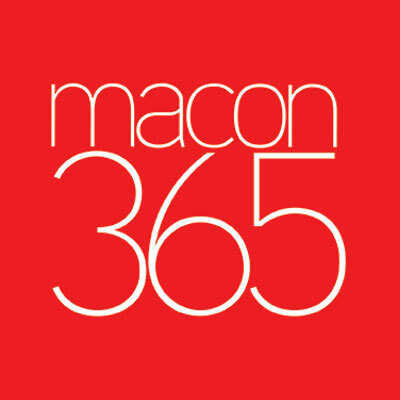 Many of the books are still blank because we know some of Macon’s best stories have yet to be written. 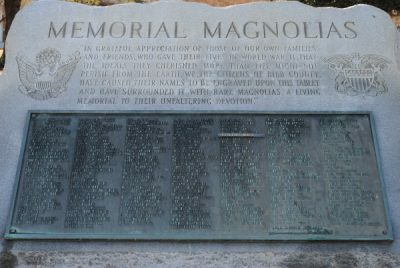 Plaque memorializing the disaster on Cherry Street on February 18, 1928. 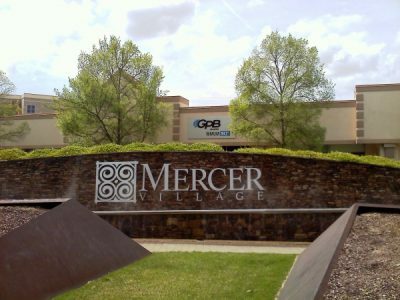 Mercer Village opened in 2008. 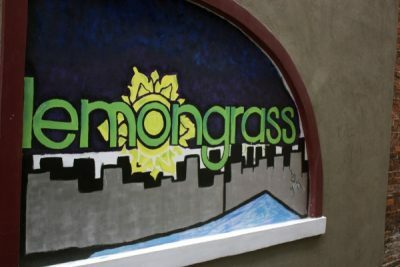 It features a small selection of restaurants that Mercerians and Maconites enjoy! 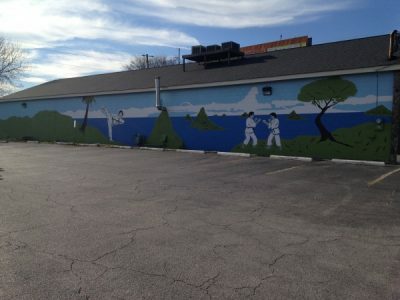 The Village also once housed the office of The College Hill Alliance. 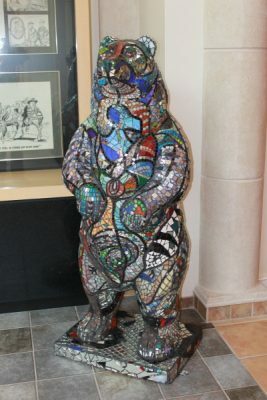 The Mississippian Bear was created by Macon artist Rudy Mendes using gems, stones, glass, mirrors and other materials to create a highly-decorative mosaic. 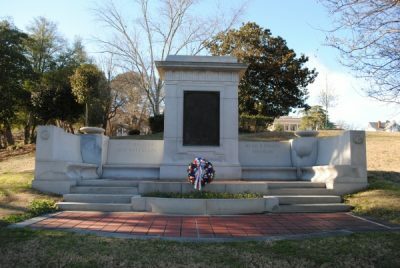 The inspiration for the bear is the Mississipian culture of mound-building Native American who once flourished in the area and are responsible for the mounds at the Ocmulgee National Monument. According to Mendes, the Mississippians believed that "all things are connected," and that concept helped the artist to envision and create this bear. 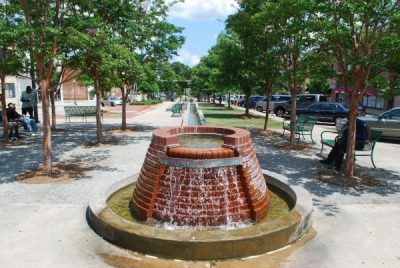 He incorporated natural elements into the work, and the design is based on the pottery of the Mississippian culture. 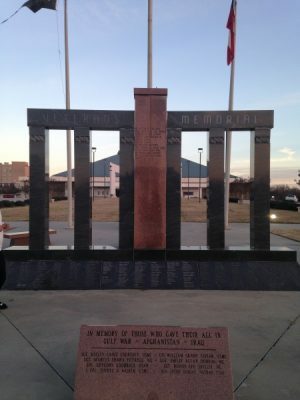 "In Memory of Mr. and Mrs. Albert Martin Smith" is inscribed on the plaque in front of the fountain. 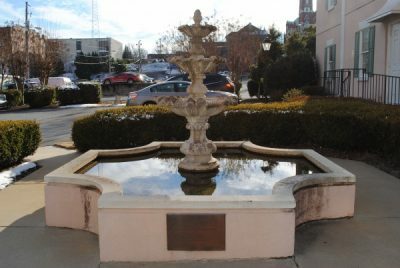 It is a four tiered fountain with a pineapple on top which is the symbol of hospitality. 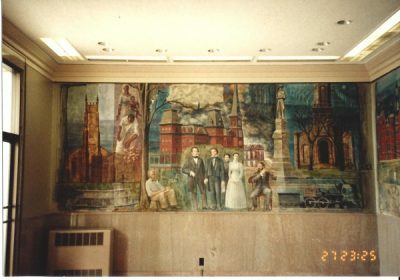 1993 Condition: excellent – it was vandalized and repaired in April 1993. 2014 Condition: top tier and pineapple no longer present. 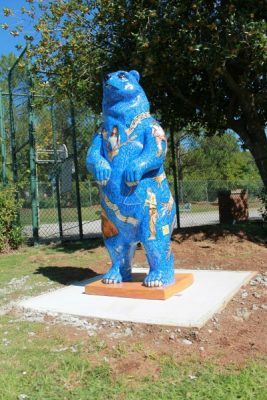 The Music Bear located in Daisy Park was created by Bleckley County artist Ingrid Lyndon. 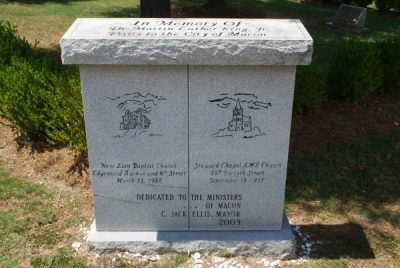 The bear was designed to reflect the rich musical heritage of Macon. 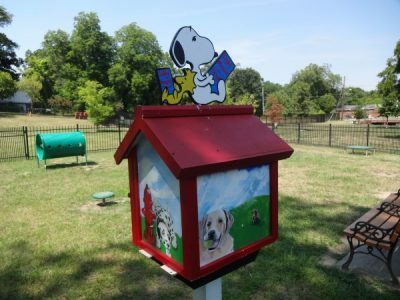 Located near the Medical Center of Central Georgia and the Ronald McDonald House, this bear is the first bear in a walking trail originating at the Medical Center. 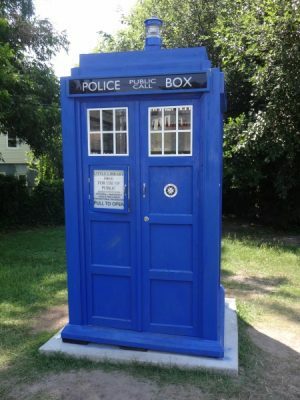 Its blue color is meant to evoke the long musical history of "The Blues."